This post features an interview with Emma Spencer, Family Learning Coordinator at the Yorkshire Sculpture Park (UK). The Yorkshire Sculpture Park sits upon 500 acres of jolly green parkland that an Australian who has never visited rural England may be pitifully excited to see. The open-air gallery won the 2014 Art Fund Prize for Museum of the Year and is also home to the National Arts Education Archive. 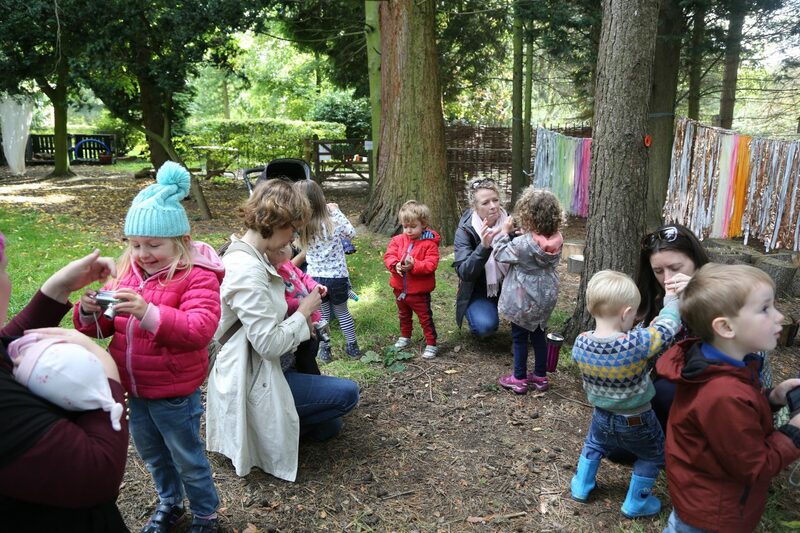 In 2014 the Park was awarded a three- year grant from the Paul Hamlyn Foundation to conduct an action-research project looking at the development of its family-learning programme. I recently spoke with Emma Spencer about the project’s findings and future plans for early years learning at the gallery. Could you please give some background on the action research project? What were your initial ideas and motivations? Starting out, the key focus of the research was around bringing people from the community together with the Park. We wanted to use the project to change how we connect with families. Families come to the Yorkshire Sculpture Park regardless to experience the beautiful natural space, however we really wanted to think about creating a more considered and in-depth offer for families. The focus of the research has changed slightly over time, especially in relation to how we used the early year’s space. What happens in art galleries is quite distinctly different from what happens in science centres or natural history museums. This was a key consideration entering the research. 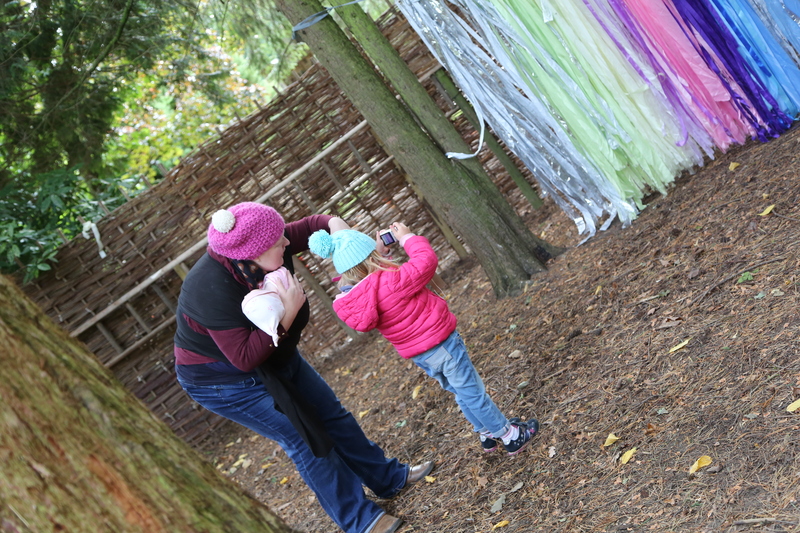 We also wanted family’s experiences to be centred on the connection between nature and art. The research project is now entering its third and final year. What have been the key findings to date? The first year of the action-research project was focused upon looking at school-aged children and their connection with the Park. We wanted to use the first stage of research to understand how the Park can engage with families in new ways. So with these families we tried out various different activities to see what they liked, what they were interested in, how they behaved and different methods of engagement. The family model that we use at YSP is one-on-one approach. So rather than being the whole family coming together, we encourage one parent to bring one child. So therefore the project was not looking at issues between siblings. Instead we wanted it to focus on and encourage really meaningful time between one child and their parent. Data was collected over four half days at the sculpture park and four half days in the education settings. We worked with eight families from children’s centres and nurseries in Wakefield. All families involved in the initial stage of research had children aged two and up. Over the eight days we trialled different creative activities with the families. We then did in-depth evaluation on each activity that gave us incredible insight into participants experiences. We were then able to build these findings into the subsequent stages of research. What types of programming have come out of these initial findings? Children behave better outside then inside and are not worried about the weather. Leading on from this, the second stage of action research comprised of the development of a series of public events for families. These included drop-in days and school holiday activities. 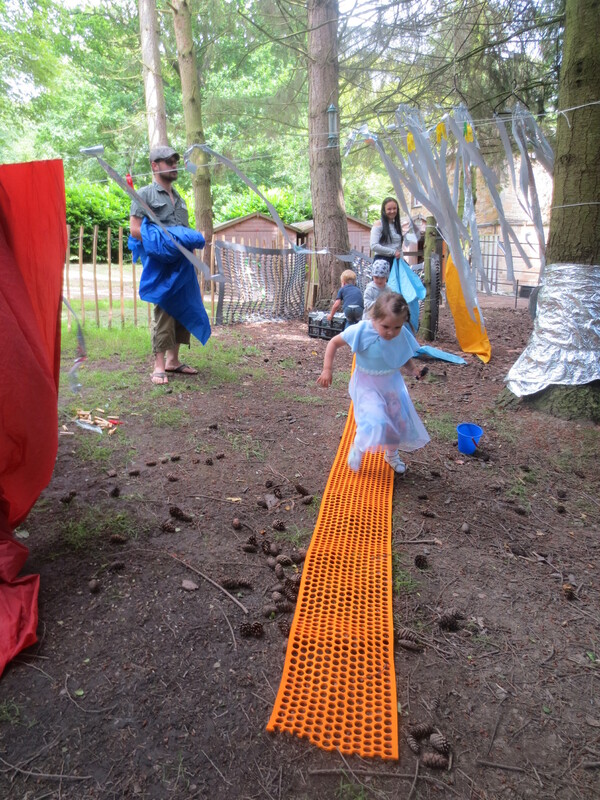 The major outcome of the research is the creation of a new family space for under 5’s called Hidden Forrest. How did you work with artists on the project? Bryony Pritchard was the main artist we worked with. Bryony has extensive experience in working in children’s art education and is a very reflective practitioner. A key responsibility of hers was designing the creative activities within Hidden Forrest and facilitating these activities on the day. These activities were essentailly provocations that connected children with nature and art. When developing children’s programmes it really helps to be collaborating with people who have have direct experience working with children and understand how they communicate and think. I did this earlier in my career and this gave me great insight which I was able to bring to my current role that is more focused on research and development. How has using the action-research process (planning, observing, interpreting and reflecting) benefited the programme’s development? The difference between everyday practice and action research is that you are constantly thinking, reflecting and making changes. Of course everyone is reflective in this field but having it as a formal research project allowed us to really look at something critically. It un-sticks old patterns of practice and thinking within the organization. This can be particularly useful when working with staff who have been around for a long time – to challenge old ways of thinking. I have always been a reflective practitioner. I also knew Bryony would be open to trying new things. Using action research allows us to development of an attitude of “if this does not work, this is okay.” This is a really freeing thing for practitioners. When things did not go so well we were able to reflect, discuss and then give ourselves permission to try it again with changes. For example we once tried the same program with a different audience with surprisingly different results. Sometimes there is a lot of pressure on artists to do it well the first time as they are getting paid a lot of money (and so they should!). However there is an idea that these activties always need to be sparkly and everyone needs to have a fabulous time. The action research enabled us to explore and challenge many ideas around practice. We knew that we would possibly learn a lot of things when it went wrong. Where do you hope to take the findings from the research? What is your future vision for family learning at YSP? We are now entering our third year of the research project. The focus is not upon institution-wide training. An interesting thing about action research is that other teams can take findings and re-adjust them to fit with their own context. This training will focus upon things such as how staff talk to families and children who may have very little gallery experience. We hope to also create a regular offer for families. Family engagement is not just about the learning team. These are institution-wide conversations that need to be had. It takes time to implement such change and to shape how we collectively engage with families.